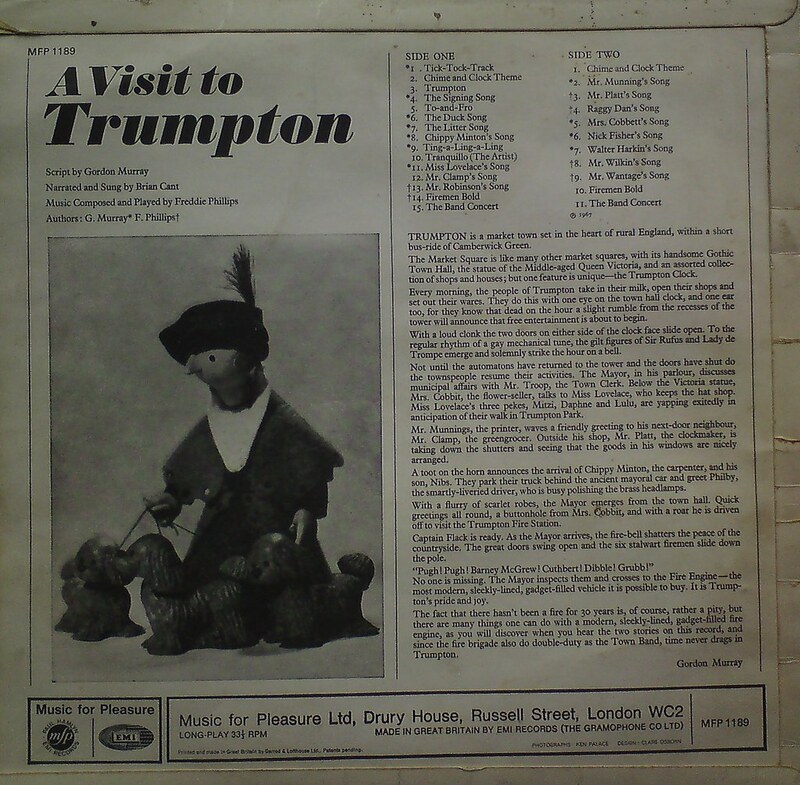 I would buy more kids’ records, but the problem is finding them in good (ie, ‘playable’) condition. 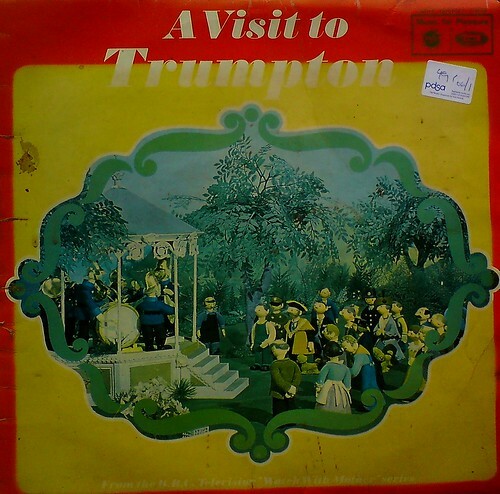 Having despairingly observed my own children’s careless handling of their CDs and DVDs, it comes as little surprise that most vinyl records designed for, and used by, kids will be scratched to buggery by the time they’ve finished with them. In my experience, the only media that are reasonably kid-proof are cassette and video tapes. I found these two together, so thought I’d post them together as well. Although the sleeves have been quite badly sun-bleached, the platters within are remarkably well preserved considering their age (1966 and 1967 respectively). 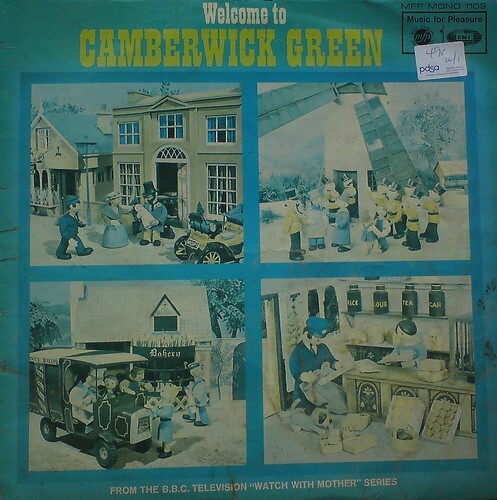 Anyone who was a child in Britain during the ’60s will be familiar with these charming shows created by Gordon Murray, as will ’70s kids like me, thanks to their creator’s astute decision to film the shows in colour, thus ensuring their repeat potential in the following decade. Listening to these audio-only versions helps to focus attention on the timeless qualities of Freddie Philips’ musical accompaniment, plus the eerie sound effects provided by Music Features. Then of course there’s the reassuring tones of narrator Brian Cant – a man so ubiquitous on kids TV in the seventies, he was practically a second father-figure for many of us. 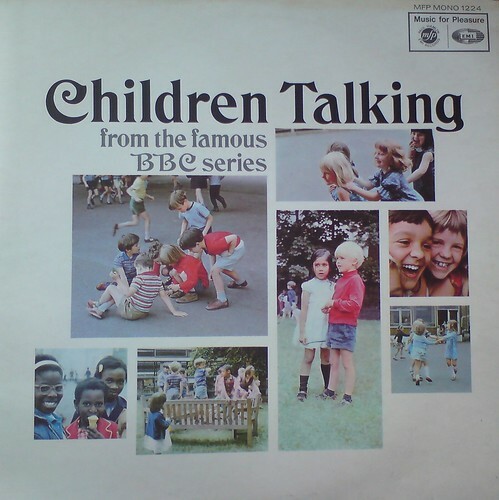 As the title suggests, this features the ‘mashed potato’ sample as used by Aphex Twin on the track “Children Talking” (spoken by a boy from Burnley, in case you were interested). There’s a couple of other bits I recognise that were sampled by lesser dance artists, too. But let’s face it, an all-spoken word record like this was begging to become sample fodder for the more eccentric producers. 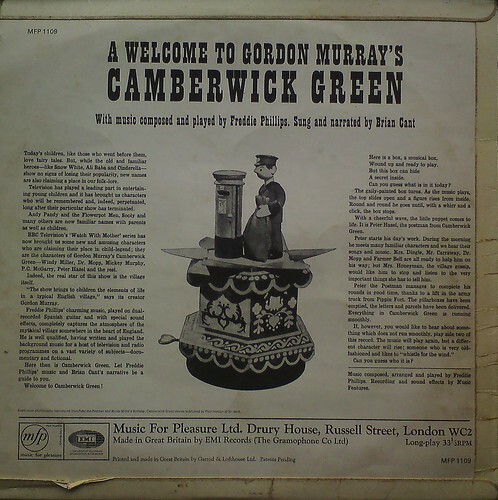 I don’t remember the original BBC series as it was back in the ’60s, but it’s still an amusing listen. As any fellow parent will know, little kids come out with the funniest, most bizarre comments sometimes! Interesting to note how polite most of the children are, usually refering to the interviewer as ‘sir’. Y’see, this was back in the days when kids could expect a good clip round the ear if they forgot their manners.